Home Technology Official: Twitter Acquired TweetDick-Know Why? Official: Twitter Acquired TweetDick-Know Why? 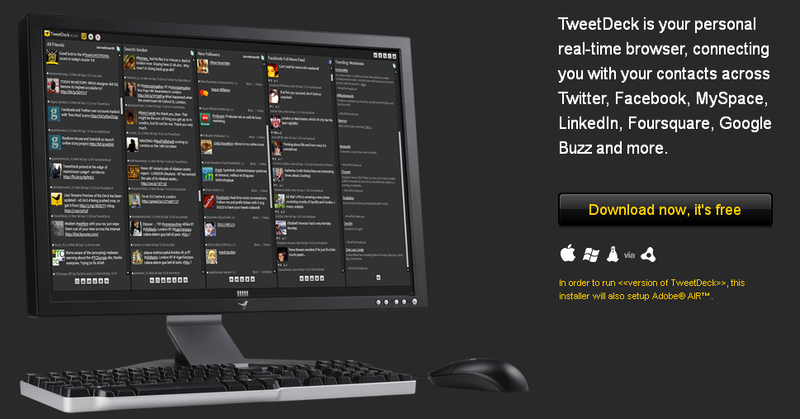 Twitter has recently confirmed that it has acquired TweetDeck, one of the most popular desktop application for Twitter. For Twitter, the acquisition is an important step forward as TweetDeck provides brands, publishers, marketers and others with a powerful platform to track all the real-time conversations. 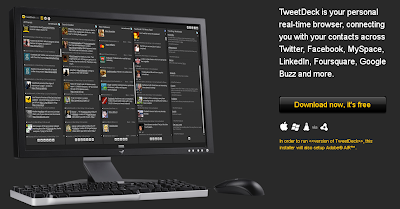 Not just a Twitter-exclusive application, Tweetdeck is also available for other social networking service like Facebook, LinkedIn, Google Buzz, Foursquare, and MySpace, which allow users to send and receive tweets and view profiles via Twitter API on interface like other Twitter applications. TweetDeck was created on July 4, 2008, and it took less than one year to become the most popular Twitter application with a 19% market share, following only the official Twitter.com website with 45.70% share for posting new status updates. TweetDeck clearly knows what it is doing from very beginning, to integrate and manage social networking service as a one-stop resolution. As a matter of fact, that was a very smart decision, because it doen’t have to develop its own user group, just to gather the users from the other social networking sites. In fact, TweetDeck was first aimed towards the Twitter social networking service, after achieved the big success, TweetDeck released a pre-release version featured Facebook status updates integration, which directly made TweetDeck to become the killer app of social networking service. Tweek was integrated with Myspace, Google Buzz.TweetDeck has become a very strong rival to other social networking service, especially for Twitter. Unlike other social networking service, Twitter overly depends on the thrd-party’s platform or application, such as Facebook’s gallary, yFrog, YouTube and TweetDeck, to fulfill its incomplete function. Even though Twitter core app is pretty functional and it’s easy for you to follow your friend, it didn’t show a strong performance on organizing large amounts of feeds, or providing a clear and concise time-based overview. It’s not going to be possible for use to follow a conversation line from thousands of tweets and retweets. However, TweetDeck’s appearance changes everything by using its powerful one-stop social networking service and organization ablility. It could be said that TweetDeck was actually a threat to Twitter, as 13 percent of tweets are sent from TweetDeck, it has realized that they could not lose such a large percentage of their userbase, therefore Twitter must acquire TweetDeck, in case one day the application become more powerful, to acquire Twitter. In another hand, to acquire TweetDeck can make Twitter more functional, it will has its own application to provde service, not to depend on the third party’s. Except TweetDeck, Twitter should really think about to acquire yFrog as well.